Good morning friends. Are you frustrated, I’m frustrated…with Twitter. Why? Because your tweets are not helping you. Seriously. Many of you do you not understand how to build a 140 character tweet. Twitter is a juncture to be able to have a conversation with someone. Not spam them with your links and endless hashtags. Today’s Build Your Brand feature is going to talk about my pet-peeve…pointless Tweets. If you didn’t read my previous article on how to Tweet, then please do that first. Using twitter is NOT rocket science. But what I don’t understand is why many don’t tweet effectively. Here’s what I’m not understanding…Why are you using so many hashtags? Do you understand that every word is searchable in Twitter? I have unfollowed so many of you…why, because I can’t read your tweets that look like this…. It’s not a conversation. There’s nothing that makes me want to click on it. But beside that, there are so many hashtags, I can’t even find the link to click on. Stop the hashtag madness people! The bottom line is this…Does that tweet above look readable? Does it look like something you are going to click on? Probably not. If I’m going to be using Twitter, I want to hear from you, your shop, and what’s going on in your store…but not your endless stream of ugly hashtags. Please read the previous post as you do NOT need a hashtag to make your item searchable in Twitter. Twitter has evolved far beyond that. In order to make Twitter work for you, you must think in conversations. Here’s what you need to do right now. Only 1-2 clickable link or hashtags per tweet. Do NOT do more than this. Your tweet becomes unreadable and less likely to have people click on it. Use an exclamation point or question mark. Using an exclamation point draws attention. Using a question mark encourages a response back or better yet…someone to think about your product. What do you want? Think about your tweet’s purpose. What do you want your tweet to do? Inform people – then make a statement. Draw them into your store – then link ONLY to your store, not to hashtags. Get them to respond – ask a question. If you are putting thousands of hashtags on your tweet, what happens when someone clicks on the hashtag? They are not getting to your store or your item are they? No. So again, I beg you to stop. Be a conversationalist! When you are out in public, do you say “Look at this awesome #jewelry made by my friend @jewelry seller. http://her.link.here #it’s-handmade #buymeonetsy?” NO! Why? Not only would people look at you funny, but they wouldn’t understand you…thus what’s happening on Etsy teams and to Etsy users all over twitter. DO NOT BE THIS ETSY SELLER….PLEASE, I beg you! You will lose potential customers, followers, and so much more. Now, please go out there and tweet appropriately. Watch your ROI, conversations, and Twitter referrals fly through the roof! Why? Because you are now sending tweets that have the end in mind. 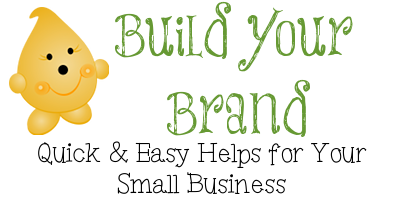 Stay tuned next week for more important information on building your brand. I hear you, I hear you. But after using hashtags for so long, I have become addicted to the views they produce. Yes, I realize these are drive by views and not really views at all, but they do feel like “traffic” is coming through the door of my online store. And I know we want relevant views, not just someone glancing at the items. With your encouragement, I’ve been trying to wean myself off from them. Please continue to be my cheerleader! I agree, hashtags are overused. Twitter suggest users use no more than 1 -2 hashtags per tweet. But, hashtags are used to search AND categorize tweets, so I understand why folks use them. I have taken your suggestion and removed the users name & ID from the post. Thank you! Wow, the tone on this was pretty harsh! Obviously quite a few people DON’T know how to tweet, and could have gained valuable info from this post, myself included. We always need to remember the tone we use in our online interactions is just as important as the words we actually use. Love your article and I think you raised some very valuable and useful tips. Sometimes I don’t how to best tweet, whether to just write them like I would be speaking or use hash tags so I do a mixture and I know how tags can be important and drive traffic to the site so this has come at a perfect time. Thanks so much.